Tooth staining or discoloration is a common cosmetic issue affecting both men and women. There are many factors that contribute to this condition and the most frequent include habitual smoking or drinking of dark-colored beverages, such as tea or coffee, which results in the food colors being adsorbed onto the tooth surfaces. Improper oral hygiene is also a contributor. Although there are a number of dental procedures that can effectively remove tooth stains and restore the whiteness to your teeth, these treatments can be both costly and time-consuming. On the other hand, tooth whitening is extremely important as inappropriate oral hygiene can do much more harm than give you a not-so-desirable smile. For one thing, when food residues are not properly eliminated from your mouth, they eventually decay, thus creating the perfect ground for the growth of oral bacteria. If this issue is overlooked, it can lead to more serious conditions, such as tooth decay. Another thing that consumers are unaware of is that most toothpaste offered on the market is just advertised as highly efficient in tooth whitening, but once you buy it, it fails to give the promised results. Luckily, there’s a way you can get the tooth whiteness you’ve been dreaming of and it only takes one ingredient. In fact, many people have found the following treatment extremely effective. The only drawback is that it doesn’t give as visible results on gray teeth as it does on yellow ones. That’s why, if you have grayish teeth naturally, you may not be quite satisfied with the effect of this simple tooth-whitening treatment. This effective method will remove stains from your teeth and restore whiteness in only 1 hour. Best of all, it’s completely natural – no chemicals involved! Mix some baking soda with your regular toothpaste. 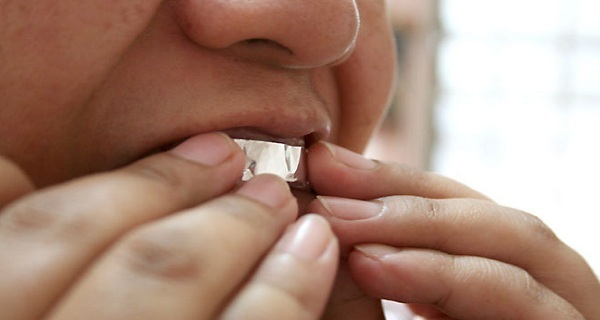 Get some aluminum foil and fold it so that it fits your teeth. Apply the baking soda-toothpaste mixture on the foil, then on your teeth. Leave it on for 1 hour. For best results, do the treatment twice a week. You should be able to see the first results after the first treatment. However, for more persistent stains, it may take 2-3 treatments before the effects are visible. Although there are no known side effects of this treatment, it’s best to use it only occasionally as even dentists advise against excessive tooth whitening, which can damage the tooth enamel.